Definition: A story which is told partially or wholly in the past and which depicts real characters and real events in actual historical settings mixed with fictional characters, events and settings. 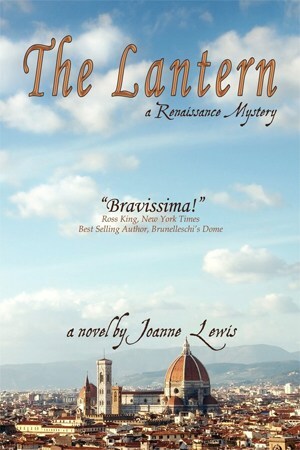 The Lantern, a Renaissance Mystery, is a historical novel about a modern-day woman's search to find a girl from 15th century Florence, Italy who dared to enter the competition to build the lantern on top of Brunelleschi's dome. Filippa George, Dolce Gaddi and Andrea Calvacanti are three lives separated by two continents and over five hundred years. Across time and space, their lives intersect and collide as they battle abuse, disease, fear and prejudice in pursuit of their dreams. Along the way, they intersect with some of the most famous figures of the Renaissance including members of the Medici, Filippo Brunelleschi, Donatello and a young Michelangelo. In 2005 in Miami, Florida, Filippa is released from prison. 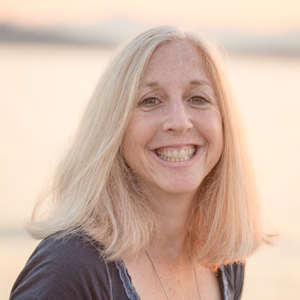 She is determined to rid herself of the addictions that have plagued her life. Her grandpa Raj, who died the day she began her prison sentence for DUI manslaughter, dreamed of finding the girl who dared to compete with Brunelleschi to build the lantern. Upon Filippa’s freedom from incarceration, she faces two choices. Return to Julio, her long time abusive boyfriend or pursue Grandpa Raj’s dream and go to Florence to find the girl. She chooses to go to Florence until Julio informs her that Buddy, his teenage son who Filippa raised as her own, has cancer. Filippa vows to stay by Buddy’s side until he gets well but when doctors send Buddy home to hospice care with the knowledge that the only way to save him is to take part in radical and expensive medical trials, Filippa knows there is only one way for her to help him – by finding the Renaissance girl and winning the contest. Filippa travels to Florence and meets Marcello, a Florentine, and Carla, an expatriate from New York. They assist her in the search for the Renaissance girl. With Buddy’s health failing, they must work fast. In 1419 in Florence, Italy, seven-year-old Dolce lives on her father’s farm where she is ostracized and ridiculed. Her room is a grain closet and she has one pair of shoes. She is deprived of the things that matter most to her – pen and paper to draw on and an education. When she bests her father by taming a stone monster he could not carve, he buries her alive, leaving only her head above surface. Dolce eventually frees herself and walks off the farm and toward Brunelleschi’s dome, which is under construction. She lives on top of the dome, sneaking up there each night and vacating every morning to scour the streets for ink to write with and vellum to write on so she can create La Citta di Dolce – her city that grows into the clouds. One day, Dolce steals paper from the local parchment makers who chase her through the streets. They catch her and are about to cut off her hands when Brunelleschi strolls by with his adopted son, fourteen-year-old Andrea. Brunelleschi ignores Dolce’s screams but Andrea cannot. Andrea convinces Brunelleschi to save her. At that moment, a forever bond is created between Dolce and Andrea. Their paths cross again ten years later when Andrea is accused of a heinous crime. His life or death is then thrust upon Dolce who must make the most important decision of her life to sacrifice what she loves the most and save Andrea or allow him to be hung. During the 15th century, a time of tremendous change in the arts, politics and science as well as an era plagued by disease, horrid living conditions and hunger, Dolce strives against all odds to be an architect like Brunelleschi. When the competition is announced to design the lantern on top of the dome, she wants to enter. Does she dare compete with her idol? Does she disobey her father? Today, Dolce would be as revered as Michelangelo and Da Vinci if her existence were proved. With Marcello and Carla’s help, Filippa discovers evidence of Andrea’s life, which then leads her to Dolce. The proof had been hiding in plain sight in the base of the world’s most famous statue, seen by millions and missed by all.